Are you guys mostly carrying hand-loads or factory SD ammo? My dedicated carry guns are loaded with factory ammo. How old is the ammo you guys usually carry, and how often do you change it out? Depends on the gun, and how often I need it for something. I change it out when I shoot the ammo that's in it (vermin, snakes, coup de grace etc) Or the notion strikes me to change it out. The .40cal HST (155/180) is slaying pigs so, that's good enough for me. Did I miss you trying out the 155s? Did you do a postmortem? I only watch the gel tester video's to see which rounds expand despite a fabric barrier. I owe it to others that I load what I can reasonably determine will not be a danger to innocents beyond my threat. I like what I saw in the HST, Win T&D, & Critical Defense. The only piece I load for SD is 45acp. It has either WWB 230gr hps or GA 230 gr hps. Everything else gets what ever I grab on the run. Glaser Blue for the first three. Gold Dots after that. If it takes more than that, I'm gonna drop my gun and be running faster than any scalded cat you've ever seen. Heavy-for-caliber. Flat-nosed and non-expanding for anything .380 or smaller. Got to feed and function. Within those considerations, I'm largely indifferent - top-shelf hollowpoints, flat nosed FMJ's, big meplat cast bullets, unjacketed lead SWC's and HP's, even Hickock's .36 round ball was no slouch. . .I'll avoid hard, round noses if I have a choice, but beyond that, load it up. It's all lead and copper. It's all generally guided by SAAMI pressure specs. It's all governed by the laws of physics much more than marketing. Everybody has access to what the FBI says a combat pistol round needs to do - be shot accurately, penetrate to hit important stuff, and maybe, once it does that, we'll take some expansion too. I'm more worried about a bullet not penetrating enough than too much - misses kill more bystanders than pass-throughs. This fits my thinking well. I use 147 grain hollow points in 9mm and 230 grain hollow points in .45 ACP, but accuracy and penetration are what I believe in. My Kimber is loaded with two different type of ammo.Liberty 50 grain that comes out of 3 inch barrel at 2000 fps and winchester 147 grain that's sub sonic less than 1120 fps. The liberty set me back thirty dollars for 20 round and I can buy Winchester Lawman for thirty dollars for 147 grain for 50 rounds. I prefer the 147 grain slow and heavy.I bought the Liberty on a wim. I like 147 grain for my 9mm. Wichester brand cause it's most reasonably priced for 50 round verus 20 rounds. 45 230 grain hydro shocks. Anyone ever try ammo tailored to shorter barrels? 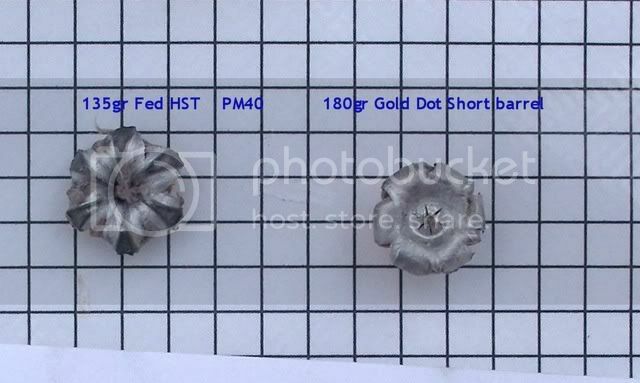 I think federal has a version of HST called micro for <4inch barrels. I've read most SD ammo does not get up to speed in short barrels, slow burning powder does not all burn. I don't have any pics from testing the 38spcl GDSB, I may not have tested it, but I do have some of it. Any heavy for caliber hollow point. Gold Dots mostly, but I'm not picky. Only have two guns with less than ~4" barrel though, and the 2.5" J frame is not a primary carry piece... just occasionally. The Kimber Ultracarry, more frequently. I purchased some expensive stuff made by liberty it's 50 grains and leaves barrel at 2000 fps for 9mm.Costs are prohibitive at buck and half a round.I'll be purchasing winchester lawmen for $32.50 for 50 rounds of 147 grain in 9mm.I've always liked it as I had a box of winchester self defense.Slow and heavy works for me. My agency carries HST in duty weapons. We have only had one shooting with it and it worked as desired. I carried HST in my off duty semi auto but switched to Gold Dots a few years back. I carry GD in my J frame as well. Hornady critical defense in my 9mm Springfield EMP. 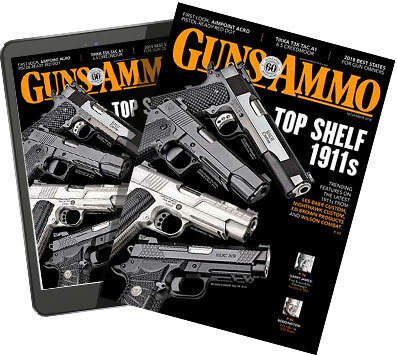 I ran across a website that tested various ammo using (and explaining) the FBI standards and rather than trying to tell you which was best, just posted the results for you to make your own decision. Based on the results posted, I carry Remington Golden Sabre HPJ 147 grain in my 9MM.